Editors of Applied Physics Express – a recognized scientific journal in the field of applied physics – highlighted the publication on the laser diodes with tunnel junction authored by the MBE group from Unipress in collaboration with TopGaN company. In the opinion of the Editors, the reported achievements are very interesting and should be accessible to wide audience of readers. The articles in the “Spotlights” section are Open Access. The application of tunnel junction in laser diode structure allows to avoid technologically problematic metal contact to p-type layers. Additionally, such solution opens new possibilities for the fabrication of innovative devices like stacks of laser diodes or distributed feedback laser diodes. The world's largest multidisciplinary event focusing on photonics technologies, Photonics West, will be held in San Francisco (USA) from 27th January to 1st February 2018. A few of our scientists (Anna Kafar, Łucja Marona, Szymon Stańczyk, and Michał Boćkowski) will participate in the conference entitled Gallium Nitride Materials and Devices XIII. The new Unipress results will be presented. Długożyciowe azotkowe diody laserowe wytwarzane metodą epitaksji z wiązek molekularnych. Czy MBE ma szanse w walce z MOVPE? 7 lutego 2018 r. w Budynku Nowych Technologii IWC PAN w al. Prymasa Tysiąclecia 98, odbyło się Sympozjum Sprawozdawcze Instytutu Wysokich Ciśnień PAN z działalności naukowej w 2017 roku. Podczas 40 prezentacji podzielonych pomiędzy 6 paneli tematycznych, członkowie Rady Naukowej oraz pracownicy naukowi Instytutu mieli okazję zapoznać się z dorobkiem wszystkich Laboratoriów IWC PAN. 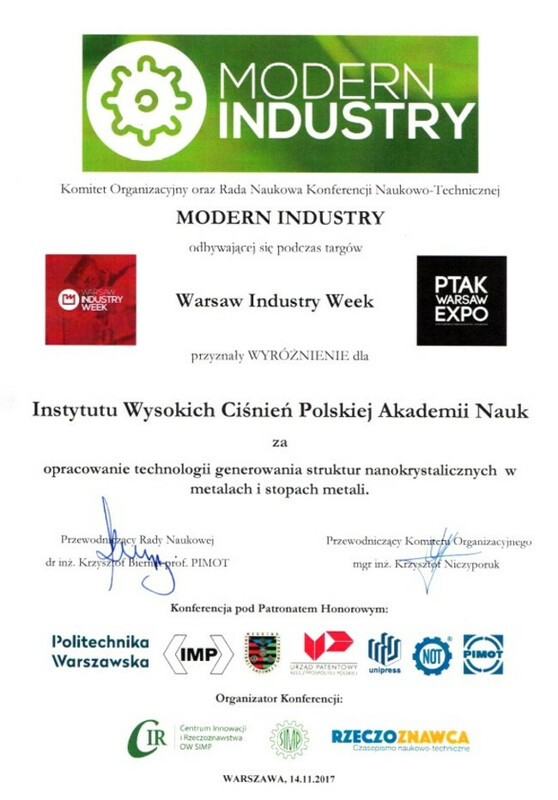 AMMONO (leased and led by the Institute of High Pressure Physics of the Polish Academy of Sciences) offers gallium nitride wafers of the highest quality in the world. They are prepared from bulk GaN crystallized with ammonothermal method. In order to meet the requirements of the nitride community, AMMONO is now able to prepare wafers with a large offcut angle (large misorientation). It can reach up to 2 deg. for 1-inch and 1.5-inch GaN. Substrates with such specifications are often required for optoelectronic devices. The significant advantage of AMMONO-GaN wafers is their uniformity in terms of the offcut angle. This is specifically important for controlling the composition of epitaxial layers deposited on the substrates. The large offcut angle is offered for n-type GaN, unintentionally doped with oxygen, with a high free carrier concentration of around 1x1019 cm-3. The wafers are of high structural quality typical for AMMONO-GaN: threading dislocation density at the level of 5x104 cm-2 and extremely flat crystallographic planes (radius of curvature above 20 m and FWHM values of X-ray rocking curves of about 20 arcsec for slit size slit 100 μm × 100 μm). Z przyjemnością zawiadamiamy, że podczas konferencji naukowo technicznej Modern Industry – nowe technologie w przemyśle organizowanej 14 listopada podczas II Międzynarodowych Targów Warsaw Industry Week 2017 Instytut Wysokich Ciśnień Polskiej Akademii Nauk został uhonorowany wyróżnieniem za „Opracowanie technologii generowania struktur nanokrystalicznych w metalach i stopach metali”. Na konferencji zostały wygłoszone dwa referaty, dr inż. Jacka Skiby pt. „Badania ultrawytrzymałych nanomateriałów uzyskanych na drodze unikalnej metody przeróbki plastycznej - wyciskania hydrostatycznego” oraz dr inż. 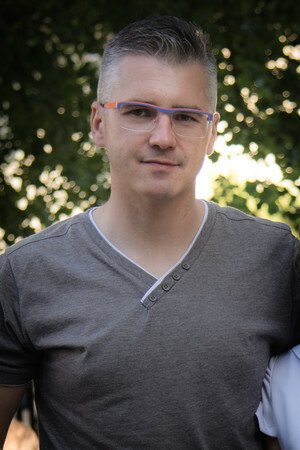 Mariusz Kulczyka pt. „Przykłady zastosowania ultrawytrzymałych materiałów po procesie wyciskania hydrostatycznego w nowoczesnych rozwiązaniach przemysłowych”.